Sony Alpha a6000 is indeed a very interesting product. Available around five hundred dollars only, it is often considered as a high-value product. It is the primary go-to choice of photographers who are seeking for a reliable but budget-friendly mirrorless camera. It has a decent performance that is comparable to many other more expensive models. First of all, you may want to see Sony Alpha a6000 vs a7 as a warming up. Even so, people always want to get the best deal, and hence people keep comparing it to other models anyway. We have ever compared it to Sony Alpha a6300 and Sony NEX 7 before. This time, we are going to discuss Sony Alpha a6000 and Sony Alpha a5000, a model made by the same manufacturer that is priced lower by about one hundred dollars. Which one should you choose? 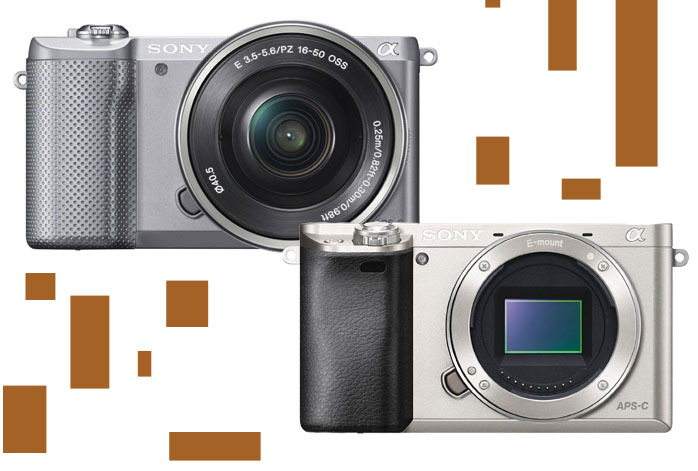 The very first different thing that we may notice between Sony Alpha a6000 and Sony Alpha a5000 is perhaps the image sensors. Of course, Sony Alpha a6000 has a more powerful 24 MP APS-C CMOS sensor, which is much bolder than Sony Alpha a5000’s 20.1 MP Exmor APS-C sensor. Furthermore, Sony Alpha a6000 is already enhanced with a maximum ISO of 51200, 179 focus points, 5EV AE bracketing range, as well as higher color depth and dynamic range. Sony Alpha a5000 only has 16000 maximum ISO, 25 focus points, and 3EV AE bracketing range. As the result, we can be very certain that Sony Alpha a6000’s images are not only larger and sharper and more detailed, but also the colors are more accurate and deeper. Also worth a note is that Sony Alpha a6000 comes with an electronic viewfinder and an external flash shoe, two things that Sony Alpha a5000 lacks. The electronic viewfinder is especially useful for better framing and control as it will allow you to shoot at an eye-level. The external flash shoe is especially crucial if you want to avoid the red-eye effect when using flash. Both models have built-in flash, articulating screens, and wireless connectivity. Both models also support continuous shooting mode, a feature that is much needed if you want to capture fast-paced actions and sports. However, Sony Alpha a6000 has a lot faster shooting speed than Sony Alpha a5000. Seriously, 11fps vs. 4fps! The gap is titanic here. With only a hundred bucks of price increment, Sony Alpha a6000 brings a bunch of huge improvements. It captures images in much higher quality and comes with more extensive features. Therefore, the answer is clear: Sony Alpha a6000 is the way!